HomeAll PostsContentFeaturesStart Shooting Super 8 Movie Film! Over the past three years we have been asked many, many, many times to please cover Super 8 filmmaking on The Film Photography Podcast. Well friends, that day has come! Throughout this year and beyond we’ll be reporting on how you can start shooting Super 8 (and later 16mm) film. So let’s get started! What is Super 8? 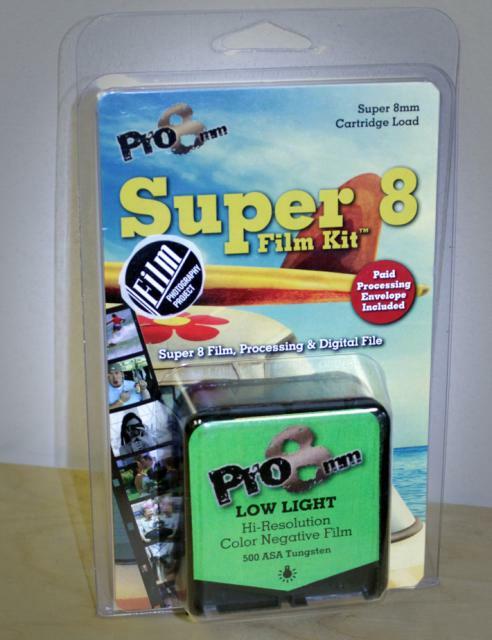 Before we get started you might be asking..."what the heck is Super 8 film?" Super 8 was launched in 1965 by Eastman Kodak as cartridge 8mm film to make home movies and project them at home on a screen. (There's also the older Standard 8 format and 16mm film format) More about Super 8 at Wiki. 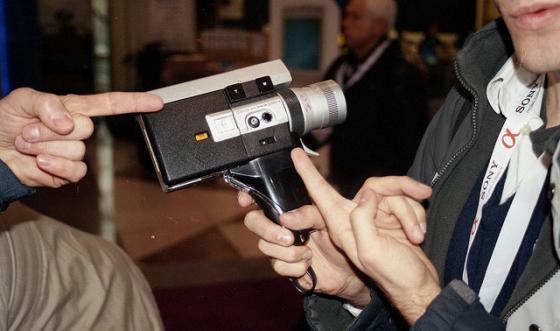 Get a Super 8mm Camera! 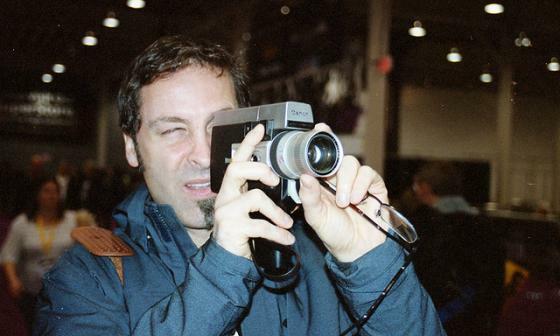 Now is a great time to start shooting Super 8 home movies! Before purchasing a vintage camera, check with your parents, grandparents, aunt or uncle and see if a working camera is lying around in a closet or attic. If not, head over to the FPP Movie Film section, local garage sales or log onto e-bay.com. When buying a vintage camera always ask or contact the seller and ask a few simple questions. Is the camera working? Is the battery compartment corroded? Any cracked plastic. Remember, even a camera that’s running may have some quirks or issues. It’s super important to do a camera test with one roll of film before shooting a special event or your backyard epic! Today there are lots of film types to choose from. Color negative films like the Kodak Vision 3 (50 Daylight - 200 Tungsten - 500 Tungsten) are negative films that are perfect for transferring to digital for editing. Color transparency films like AgfaChrome 200D, Kodak Ektachrome 200D or Kodak Tri-X Reversal are the perfect films to project through a vintage movie projector. These films can also be transferred to a digital file! The FPP has assembled a store right here to carry all available Super 8 films at the best prices on the globe! Shooting home movies on Super 8 is just like using your phone camera or video camera except you only have three+ minutes per Super 8 cartridge. This is plenty of time to tell a story be it a birthday party, anniversary or cook out. 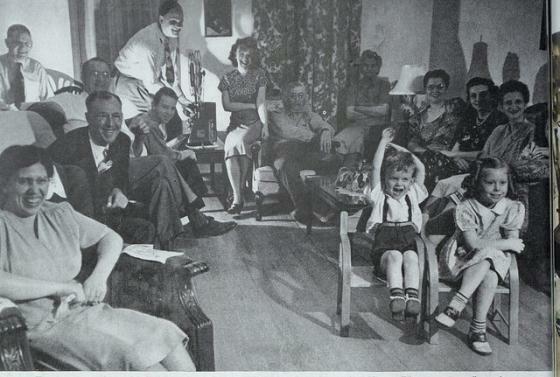 Google search "Tips for shooting home movies" for lots of articles on-line! Processing your Film! If you're shooting color negative film that's part of the kit (pictured above), all you do is mail your film in the pre-paid envelope included. You will receive the digital transfer via e-mail and your original film via standard mail delivery. If you have color negative film not part of the kit or some Ektachrome or AgfaChrome, you'll need to reach out to a lab in order to get your film processed (and transferred, if you desire). Some recommended labs are Dwayne's Photo, Yale Film & Video and CineLab. Today, almost ALL computers come packaged with a basic movie-editing program. You can edit, add music and sound effects and output your finished file. Here’s my very first film test using the Canon 514 XL Camera. I shot a roll of the Kodak 500t Super 8 Kit this past Father’s Day. As you can see, shot it ambient light, the film looks like it could have been shot in 1980! That’s it for this first blog. Hope this is enough info to get you started. You can always e-mail me a Michael@FilmPhotographyProject.com if you have any questions.